Visitors and locals come to eat in Santa Monica because of our renowned restaurants and chefs - Fig, Huckleberry Café & Bakery, Tar & Roses - and restaurants want to be in Santa Monica because of the location, the variety and the farmers market. 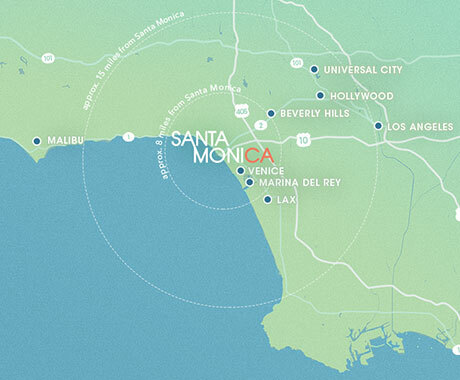 Santa Monica’s size means that visitors can find a variety of restaurants -- cuisine, price and atmosphere -- in close proximity to each other. Santa Monica offers a number of outdoor dining options and our cuisine is varied and international. 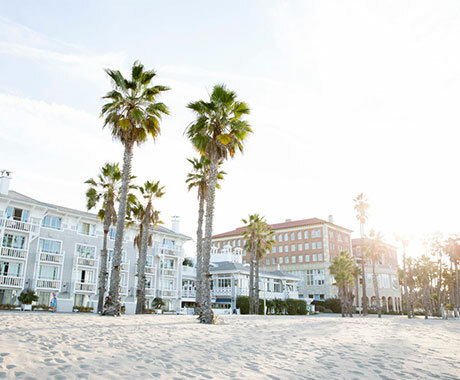 Santa Monica isn't just a good eating town, it's an international dining destination and reputed birthplace of “California” and “fusion” cuisine – marked by an artistic blending of culinary styles and the freshest of organic ingredients. Santa Monica was on the vanguard of the local foods movement long before it became mainstream, and the use of sustainable, organic ingredients is central to the cooking approach of the leading chefs around town. Throughout Santa Monica you’ll find innovative restaurants that use locally sourced organic ingredients in vegetarian and vegan dishes, providing that what’s good for you can taste good too. Named by Travel + Leisure as the best farmers market in the county, Santa Monica’s four weekly farmers markets attract the city's residents and local chefs with the fresh produce, flowers, meats, cheeses, nuts, fish, and more. You may not eat or even visit the Santa Monica Farmers Market, but your chef (probably) will.